With that in mind, let’s discuss a new Windows to Android transformation pack we came across earlier today. 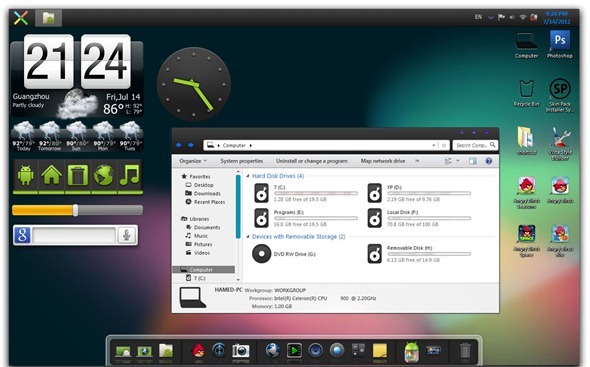 Simply named the Android Jelly Bean Skin Pack for Windows 7, the transformation pack includes a bunch of different programs that, when used together, give Windows 7 an Android 4.1 Jelly Bean-like look. The programs in question are: RocketDock (skinnable Windows equivalent to OS X’s Dock), Xwidget for Jelly Bean-like widgets, extra icons, Win7BootUpdater for changing the boot screen, ResourceHacker for modifying .res files in Windows, Moveex for replacing / moving .dll files, and a Universal Theme Patcher. You just have to download the installer and follow the on-screen instructions. It will guide you through different settings with ease. 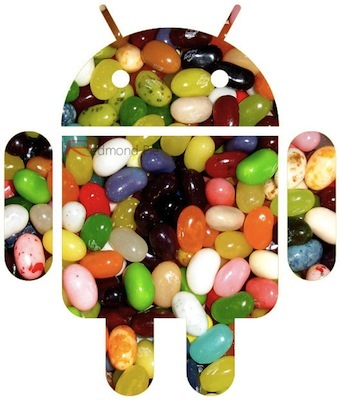 After that, you have to restart your PC to enjoy the Jelly Bean-like experience. Everything from the boot screen, login page to the desktop and Window UI gets a different look. You also get a really nice set of widgets for Time, Weather, Google Search and Music.